PeopleFWD | FAQs | CPP, Inc. Maximize your learning and attend a pre-conference workshop. Multiple half-day workshops are available on Wednesday, October 17, 2018. $300. Attend two half-day pre-conference workshops and save $100. Pre-conference workshops will be offered as an add-on to the main conference. Priority is given to attendees of PeopleFWD 2018. If you are interested in a pre-conference workshop and are unable to attend PeopleFWD 2018 on October 18, 2018, email peoplefwd@cpp.com to be placed on waitlist. Pre-conference workshop waitlist will be contacted by September 14, 2018. Access to PeopleFWD 2018 includes keynote sessions as well as chosen breakout sessions. Registration also includes food and beverages during the daytime sessions and access to the October 18 evening networking reception. Pre-conference workshops and hotel accommodations are not included in the conference registration fee. You can update the information on your order (like name, email address, or answers to the custom questions) through Eventbrite.com. Step-by-step instructions can be found here. PeopleFWD 2018 accepts several methods of payment: Visa, MasterCard, Discover, American Express and PayPal. Payment must accompany your registration. Registrations without payment will not be processed. If you need an alternative payment method please email peoplefwd@cpp.com. Cancellations up to and including Friday, July 13, 2018: Fees will be fully refunded. Cancellations up to and including Friday, August 17, 2018: Fees will be refunded less $250 cancellation fee. Cancellations after August 18, 2018: Registration fees are non-refundable. If you are no longer able to attend PeopleFWD 2018, you may transfer your registration to a colleague by sending a request email to peoplefwd@cpp.com with the new attendee's name and contact information by Friday, October 5, 2018. IS A GROUP DISCOUNT AVAILABLE? If you have two or more attending PeopleFWD 2018 from the same organization, when registering, prior to selecting your conference registration ticket type enter in the promotional code GROUP to access discounted conference registration tickets and save $25 off each. Are Continuing Education (CE) Credits offered? 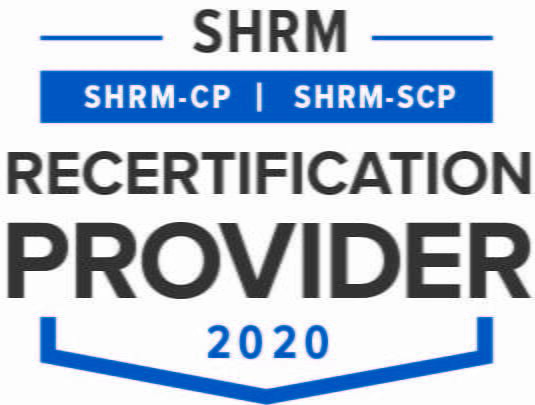 PeopleFWD 2018 has been pre-approved by SHRM for 7 credit hours and by HRCI for 6.5 credit hours. *This program is valid for 7 PDCs for the SHRM-CPSM or SHRM-SCPSM. *The use of the HRCI® seal confirms that this activity has met HR Certification Institute’s® (HRCI®) criteria for recertification credit pre-approval. PeopleFWD 2018 will take place in the San Francisco Bay Area at The Westin San Francisco Airport Hotel located at 1 Old Bayshore Highway, Millbrae, CA, 94030. Are there discounted hotel rooms for conference attendees? Yes, a block of discounted rooms at The Westin and Aloft San Francisco Airport hotels PeopleFWD 2018 attendees. Reserve your room online. The Westin SFO is only 5 minutes from San Francisco International Airport and provides a complimentary round trip San Francisco airport shuttle service. Located on the departure level of the airport, outside the islands, our shuttle runs every 20 minutes on the hour, 24 hours a day. Whether you are traveling for business or pleasure, we aim to make sure that your stay is both relaxing and rewarding. Find out more. Driving? Get directions to The Westin San Francisco Airport Hotel. Self and valet parking options are available at The Westin San Francisco Airport Hotel. PeopleFWD 2018 attendees will receive the discounted day parking of $10 per vehicle, per day and discounted overnight parking of $18 per vehicle, per night. Find out more about hotel parking. Business casual attire is appropriate for all functions related to PeopleFWD 2018. A jacket or sweater is recommended for air-conditioned rooms within the hotel. Guests will not be permitted to attend any PeopleFWD 2018 sessions or activities.